As an adult, there will be things that will make you happy, which you never thought about as a kid. One of them is buying a new crockery. Surprisingly, it is one of those things that makes you excited and happy, especially if you have entered in your thirties and you are a woman. If you are one of those people who have an interest in cooking and maintaining their cookware, there is not much that you need to learn but if you are a person who is just moving out and buying all these things that you never thought would be essential for life and can cost you your whole salary, you need to take a deep breath and start reading. First, you need to know what type of cookware you are going to need. Normally, steel ware is most commonly used but people just overlook the benefits of copperware, especially if you are lucky enough to get your hands on a perfect set of copperware. 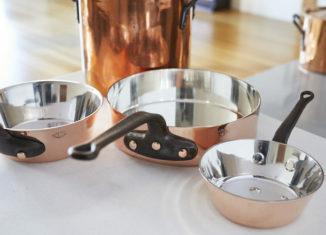 Here is everything you need to know about selecting the best copper cookware for your home. When you are buying utensils for cooking food, make sure that it is a good conductor. In cookware, it is a simple rule, the better the conductivity, the better results you are going to get. In case of copper, it is one of the best conductors found on earth. In comparison to steel, it is known to produce better results. When you are out in the store to buy copperware, make sure that it is pure copper and is good in heat conductivity. Make sure that whatever product you are buying is good at the conductivity rather that heat absorbing capacity. If the conductivity rate is higher, it going to produce faster results when you turn up the heat or slow it down. Unlike heat absorbing metals, they are going to react after a while to heat up and will take time to release the heat. If you have been a science student, you must know that how easily copper has a reaction with almost everything. Aluminum, for instance, has a tendency to react with tomato and other acidic dishes. There are less reactive copper utensils also available in the market, they have been mixed with other metals to make it less reactive. 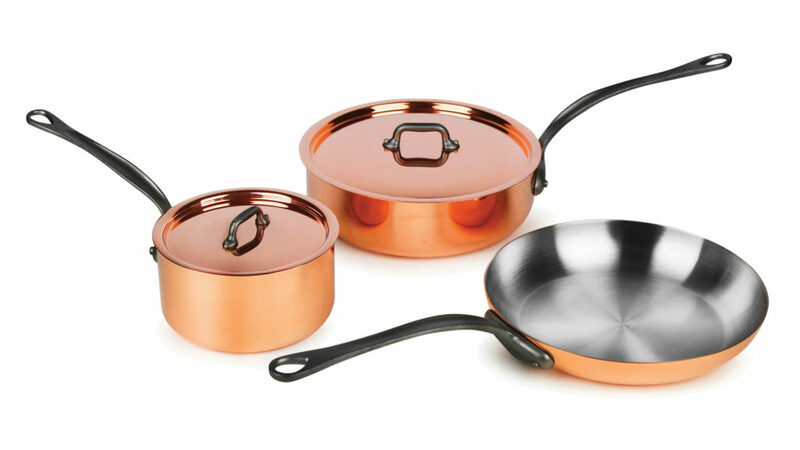 Compare copper cookware before buying them, and you should know their tendency to react. Make sure that the ones that you are buying are less reactive and less absorbent. Remember that no matter how much you spend on cookware, at the end of the day it is going to something you are making your food in. So, to be precise, yes you should spend good amount of money on your cookware, but it should suit your budget. You can get almost the same result from the cooking bowl that you brought from the one-dollar store and the one that you spent thousands of dollars on. The main thing that affects your food’s taste is the technique and spices you are using; the cookware does not have much to do with it. If you have been previously using glass or steel cookware, you are going to find it hard to maintain copper cookware. People usually like their cookware to be all shiny and neat, which is easy to do with the glass cookware. But the conditions are opposite for the copper cookware. They get stained quite easily and if you want them to be absolutely stain-free, it is going to require good amount of scrubbing after every use.